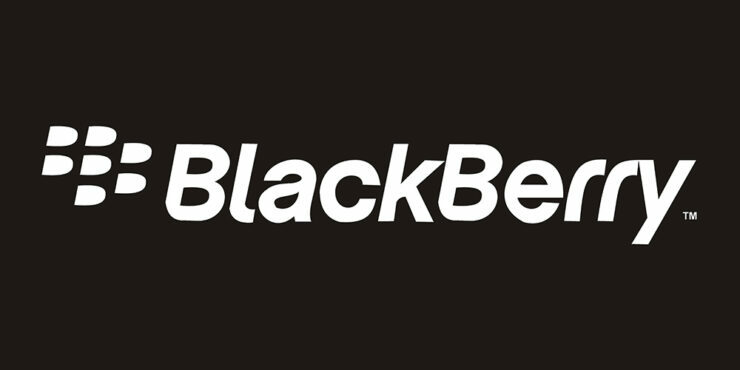 Today Blackberry LTD (TSE:BB) announced the acquisition of Cylance for $1.4 billion pending regulatory approval and closing conditions, the deal is expected to close in February 2019. The modern Blackberry is not much like the traditional well-known hardware manufacturer, while still making a few handsets the companies primary focus is on enterprise software as we reported here. A quick review of the most recent quarterly revenue (FY 2019 Q2) from Blackberry shows that the handheld devices division makes up just $5 million of $210 million in total revenue. Most of their revenue came from enterprise software and services, technology solutions, and licensing and IP with 88, 49, and 56 million dollars for each division respectively. Cylance is a company in the cybersecurity and artificial intelligence business, having 3,500 active customers which they claim include more than 20% of the Fortune 500. 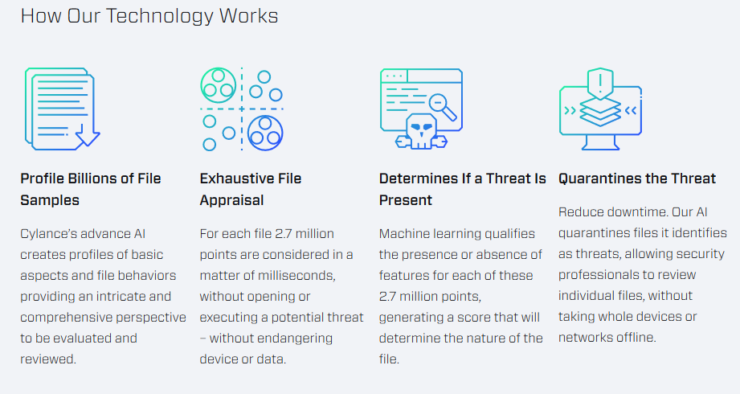 Blackberry cites that: “Cylance is a pioneer in applying artificial intelligence, algorithmic science, and machine learning to cybersecurity software that has proven highly effective at predicting and preventing known and unknown threats to fixed endpoints.” Cylance uses AI to scan typical behavior, then if it notices irregularities it can quarantine accordingly with minimal impact to performance at the user end, a basic diagram from their site is below. Blackberry is estimated to pay $1.4 billion for Cylance, which is more than a year of Blackberry’s current revenue. Blackberry believes that the acquired capabilities from Cylance will strengthen their position in the enterprise market, specifically providing better security and privacy across their platform. In their press release, Blackberry talks about Spark, their platform that operates in the EoT (Enterprise of Things) market; such as automobiles where reliability and security are the most important features of a platform. Cylance is expected to operate as a separate business unit inside of Blackberry when the deal is closed. Blackberry has been providing a steady but small relative profit since their focus shifted away from hardware. Cylance is a privately held company so it is difficult to tell how long it would take to recover the costs of the purchase, or exactly what efficiencies will be realized with the implementation of the software in Blackberry’s platforms. Blackberry has enough cash and short-term investments on their balance sheet to not worry too much about immediate performance, however since Chen took over as CEO the company has been very strict on spending and cut a lot of expenses, recently Blackberry has been showing modest and consistent quarterly profits.